The First International Conference on Advances & Challenges in Interdisciplinary Engineering and Management 2017 (ICACIEM 2017) happened at Vidyaa Vikas College of Engineering and Technology, Thiruchengode, India on 11th and 12th February, 2017. The event was graciously presented by Dr. Kriengkrai Bhuvanij, Treasurer of ASDF South East Asia and Governmental Representative. 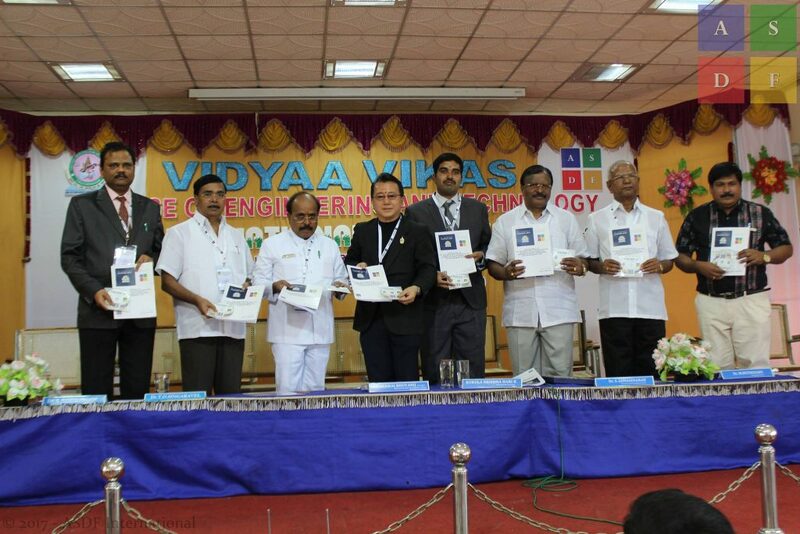 The proceedings was released by the Chief Guest and received by Dr. S. Gunasegaran, Chairman of Vidyaa Vikas College of Engineering and Technology. Alongside Dr. K. Kokula Krishna Hari, Secretary General was also present.